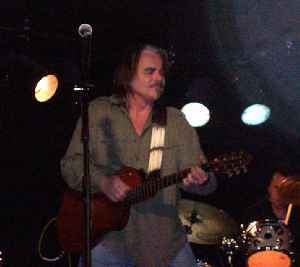 Hal Michael Ketchum is an American country music artist. He has released 11 studio albums since 1986, including nine for the Curb and Asylum-Curb labels. Ketchum's 1991 album Past the Point of Rescue is his most commercially successful, having been certified gold by the Recording Industry Association of America. Between 1991 and 2006 Ketchum had 17 entries on the Hot Country Songs charts. Three of his singles — "Small Town Saturday Night," "Past the Point of Rescue" and "Hearts Are Gonna Roll" — all reached number 2 on this chart, and three more charted within the Top Ten: "Sure Love" at number 3, and "Mama Knows the Highway" and "Stay Forever," both at number 8.